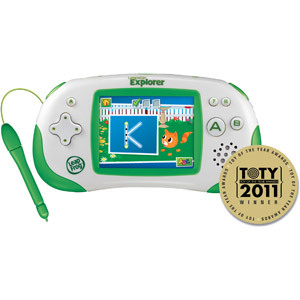 If your children are huge Disney fans [like ours are] they're in for a treat with the Leapster Explorer! LeapFrog offers a large library of ebooks and games that featuring favorite Disney characters that kids just can't get enough of! The incorporation of familiar characters really helps to engage children in the learning experience, which ultimately means better retention of all that great information they are learning with their Leapster Explorer! The LeapFrog Leapster Explorer helps to make learning fun! 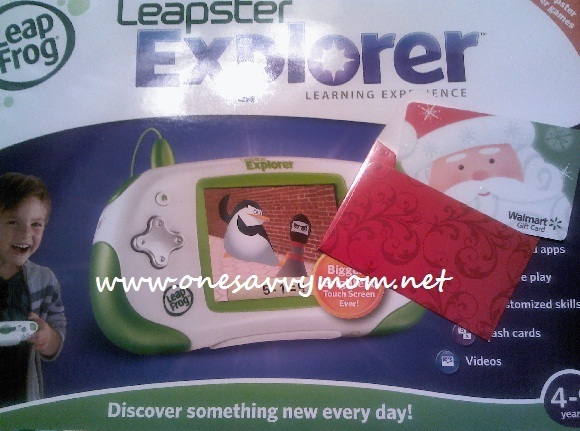 The Leapster Explorer is a Top 2012 One Savvy Mom!™Holiday Gift Pick! Open to residents of the U.S. and Canada . Entries must be received by December 26, 2012 at 12 PM PST. Reader(s) will be drawn at random through www.random.org and must confirm their shipping details within 48 hours from the time that the email notification is sent (or another winner will be chosen in place).